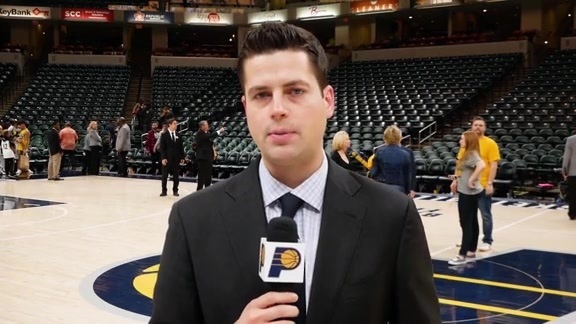 The NBA announced Monday that Indiana Pacers forward Thaddeus Young has been named Eastern Conference Player of the Week for Week 9 of the 2018-19 NBA season. Young has been a major catalyst in the Pacers' seven-game win streak and averaged 18.8 points, 9.8 rebounds, 3.8 assists, and 1.8 steals in Indiana's four wins last week. The 6-8 forward tallied three double-doubles and converted 29-of-52 shots (55.8 percent) over that span. 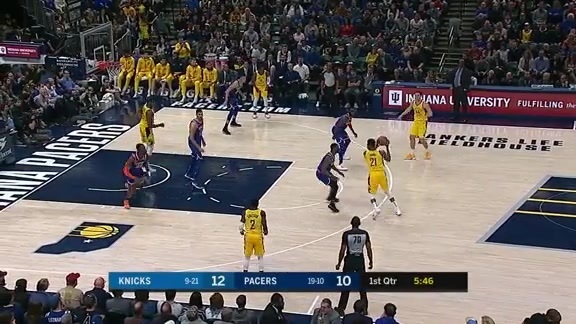 Young also led the team’s defensive effort in which the Pacers held their last four opponents 99.5 points per game, 41 percent shooting and 28 percent shooting from 3-point range. The award marks the second time Young has been named Eastern Conference Player of the Week in his career and his first honor since January 2014 when he was a member of the Philadelphia 76ers. Young is the the 13th player in franchise history to earn Player of the Week honors and the second this season. Victor Oladipo took home the honors on Nov. 5. Young began the week by scoring 14 points on 6-of-10 shooting, pulling down a season-high 12 rebounds, and dishing out four assists in the Pacers' 109-101 win over Washington last Monday at Bankers Life Fieldhouse. He followed up that performance by stuffing the stat sheet in Indiana's 113-97 victory over Milwaukee on Wednesday at The Fieldhouse. Young tallied a season-high 25 points on 9-of-14 shooting, 11 rebounds, four assists, and five steals in that victory. Young set a new season high in his very next game, scoring 26 points on 9-of-19 shooting and also collecting 10 rebounds and five assists in a 113-101 win in Philadelphia on national television. He finished the week by contributing 10 points and six rebounds in the Pacers' 110-99 win over the Knicks on Sunday night at The Fieldhouse. 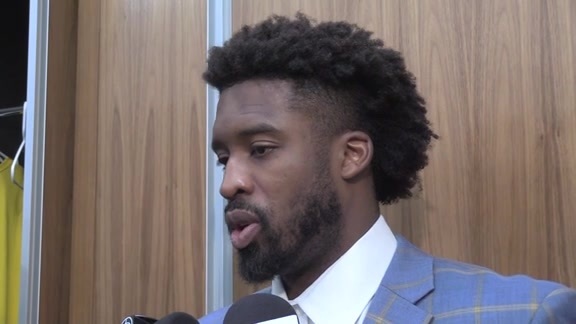 Young's breakout week was inspired by conversations he had with some of his teammates in recent days, as he said after Friday's win in Philadelphia. "Earlier in the season I wasn't playing to the best of my abilities," Young admitted Friday. "I was just thinking about it too much. "I had a few conversations with some of my guys and they just told me, 'Just hoop.' That's what I've been doing." Young shares honors with Houston's James Harden, who was named Western Conference Player of the Week. Dec. 17, 2018 - Pacers forward Thaddeus Young was named Eastern Conference Player of the Week for games played from Dec. 10 - 16. Check out some of his best plays from the week. 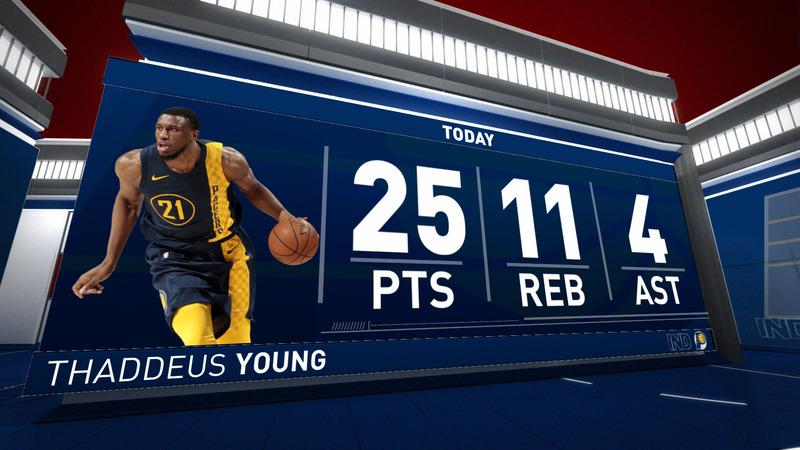 Pacers forward Thaddeus Young had a team-high 25 points in Indiana's 113-97 win over Milwaukee.